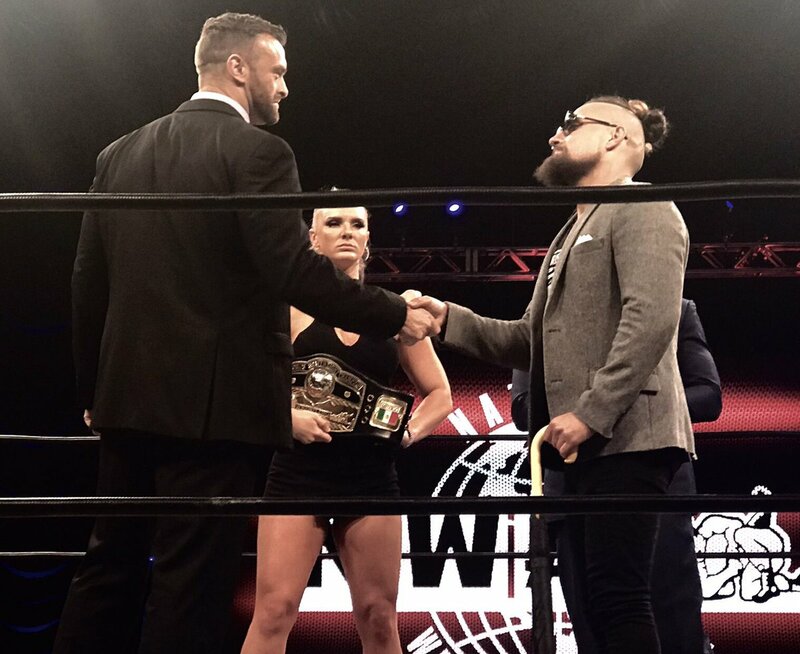 Marty Scurll will challenge Nick Aldis for the NWA World Heavyweight Championship at the Crockett Cup on April 27. The co-promoted event will be held in the Cabarrus Arena in Concord, North Carolina in association with the NWA and Ring of Honor. The format for the 2019 version of the tournament is currently unknown. Two teams have been officially confirmed for the event thus far. The War Kings (Crimson and Jax Dane) qualified for the tournament at NWA New Year’s Dash, their pop-up event held on January 5th. PCO & Brody King became the 2nd team to qualify for the tournament by winning ROH’s Tag Wars 2019. The 3-night tournament took place during a recent ROH tour of Texas. Both NJPW and CMLL have committed to entering teams in the tournament this year as well. Scurll vs Aldis is the only other match officially confirmed for the event.